The ice has left the lakes and ponds and the bright sunny days are starting to warm up their waters. The bass are on the move and soon the big girls will be up on the beds while the males cruise the inside edges of the weeds. The magic time, however, is just beginning. 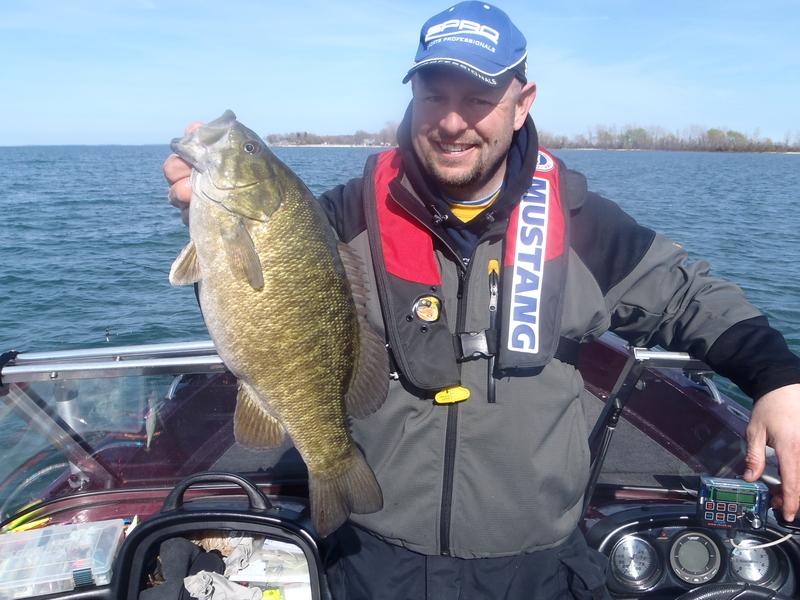 The pre-spawn period is when these fish are really starting to get active with the warming water and the longer days. The town of Lake City Michigan rolled out the Red Carpet for Mark Martin and his crew for the Lake Missaukee Ice Fishing Vacation school this past January. Between the great hospitality and the awesome fishing there was very little that someone could say in a negative tone. We were joined by Chis Kreiner and Zach Aungst from Great outdoor pursuits as they videoed the event. Sit back, grab a cup of coffee and watch the episode that Chris and his team have put together for everyone to enjoy. I, for one, am one of those individuals that will be drilling hole after hole looking for anything that wants to chase one of my offerings. Armed with my Vexilar and some new tackle I will be wandering the frozen surfaces looking for willing biters. PK Flutter Fish, Should it be in Your Spoon Box? 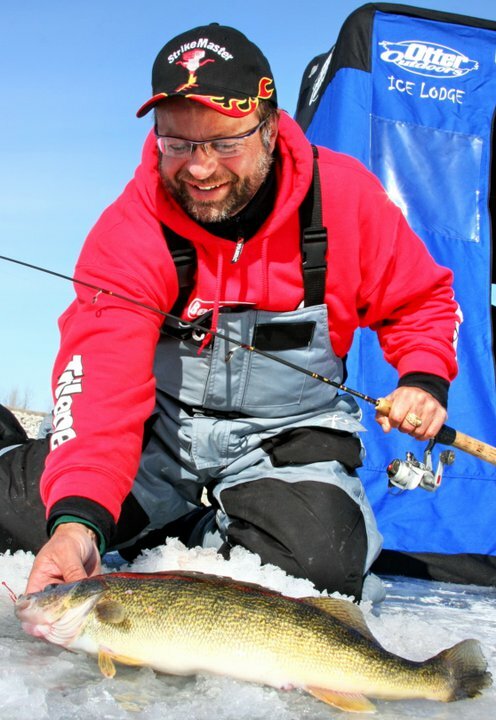 It’s ice time and we are all preparing our gear for time in front of a small hole in the ice just waiting for that giant walleye or trophy size crappie to slam your tempting offering you are dancing below the surface. What offering you are using varies from angler to angler as well as varies with the conditions. However with CLAM’s introduction of the women’s line of clothing for the ice as well as the new sub-zero boots they have paved the way for more women to become involved with the sport. 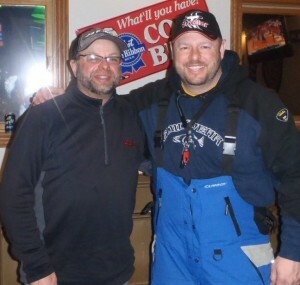 Mark won the first PWT and at the time it was the highest cash prize in history for a walleye tournament. At that time it had earned him the distinction of being “the Original Champ”. Tom Zenanko Inducted into The Freshwater Fishing Hall of Fame! Recently I received the news that Mr. Vexilar himself Tom Zenanko was inducted into the Freshwater fishing hall of fame. What an honor to bestow on such a dedicated individual. I know there have been days out on Lake Michigan that have left me hurting for a few days after fighting large waves and having the boat crashing down time and time again. Not only does it make things uncomfortable, but it also can cause long-term damage. This is even more evident when riding in an aluminum boat that tends to have less weight than its fiberglass counterpart. By far these bodies of water had some of the greatest fishing for a multitude of species and it is only a short 5 hour drive from the Chicago area. 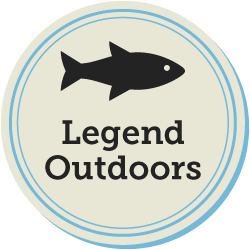 Smallmouth bass to Lake trout and even the delicious yellow perch are just some of the great fishing opportunities that are around in this area. The key with any gear on your boat is to protect it. It is an investment and you want to make sure that you can keep it up and running and in top shape. Whether that is your main motor all the way down to making sure your hooks are sharp. I suppose the point I am trying to get across is that if you are going to do something, then do it right.